Disclosure: This post is sponsored by Pley. All opinions as always are 100% my own. With the popularity of social media these days, it pays to take some time to look around online and to get to know and follow some of the top money saving and frugal bloggers. These bloggers put a ton of time and energy into doing the hard work for you by scouring the ads and online sales for the best deals all around. Many of these deals are often posted days and weeks in advance of the sales. Once you find your favorite frugal bloggers, be sure to take a minute to subscribe to their feeds and check their websites frequently leading up to the holiday season. Many also run holiday deal Facebook pages, where the owners as well as the readers share deals galore on a daily basis! There is a good chance that you will come across some great prices on the hot items of the season and more. You will also get the best leads to the Black Friday and Cyber Monday deals! While out shopping for items, do yourself a favor and combine your shopping into as few trips as possible. You will save yourself time, money and gas. Carry your circulars wherever you go. Stores such as Walmart, Target and Toys R Us will often price match deals from their local competitors if you show the current sale ad with the better price (check your local individual stores for their policies). While you are at it, if you shop at Walmart, do yourself a favor and download the Savings Catcher app and if you shop at Target, download the Cartwheel app. The Cartwhell app at Target offers coupons and additional % off on various items from week to week at the store, while Walmart’s Savings Catcher app catches the price difference on all of the items you shop for throughout the store and compares prices with all of its competitors. You then get the difference back in store credit/gift card which you can use for future purchases at Walmart. This is even helpful when shopping for food, household items and more! Not only is this a great way to save some money, but it’s also a wonderful opportunity to shop green. Not only are you likely to find some great deals on gently used toy items, but you are also likely to come across brand new items in the package as well! I have saved as much as 50-75% off the retail cost of shopping for some of the toys my children were requesting over the years. Best of all – you are doing a great service to our world by recycling perfectly good toys and bringing them some well deserved love from your child. And while you are at it, consider listing some of your own children’s outgrown toys, holiday attire and snow gear on these sites. It’s a great way to earn back some extra cash to put toward your holiday spending. Win-win! Yes – you read that correctly! Have you heard of the awesome toy rental services that allow you to purchase a Netflix-style subscription so that your family can try out new toys on a regular basis? How cool is that?! This is not only a great way to cut back on overspending and clutter, but it is a great way to help keep toys fresh, new and exciting for your children. No need to stress about how soon the kids are going to get bored with their toys. Besides having access to a variety of toys, kids learn the concepts of sharing and reducing waste for the environment. Oh and how about all of those Lego pieces you constantly need to keep track of? No fret! 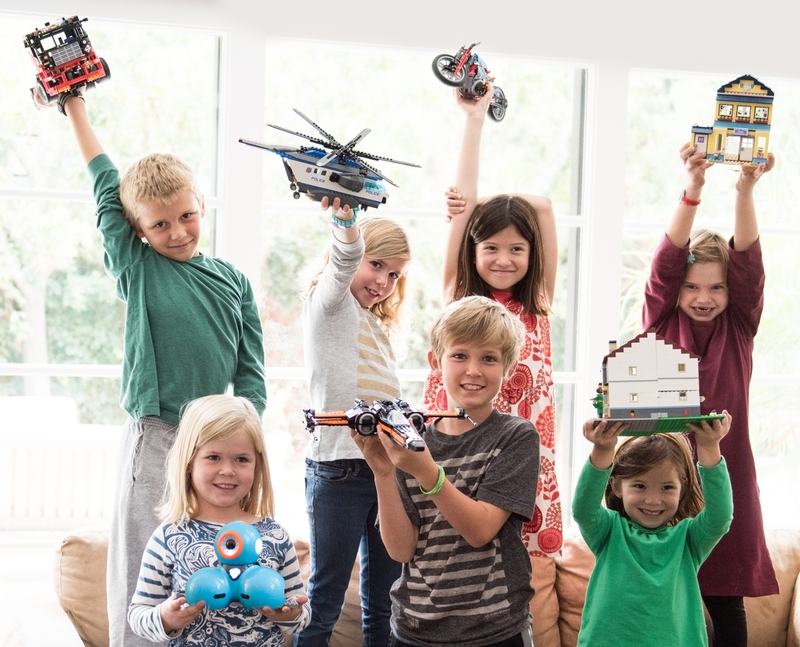 Pley is a toy rental service that gives families the opportunity to rent, build, and return unlimited sets of Legos, Knex and other popular robotics toys. It’s really convenient and helps reduce clutter. Pley packages get delivered to your door and when the kids are done playing, they can return them for a new toy. No more toys sitting unused on shelves! And even if your child falls in love with a set and decides he or she wants to keep it, you can purchase the set at a discounted price! I love this idea! Best of all, all these toys come at a low price point vs. buying toys. Average members save ~$800/year. Before shipping, all sets are sterilized and packed along with original instruction manuals and extra pieces to assure that the building experience is a positive one for all. Just think – it will be like Christmas every month when the subscription box arrives at your doorstep! Sticking to a budget doesn’t have to mean taking the fun out of the holidays! As you can see, there are plenty of ways to save money while selecting the perfect toys and gifts for your little ones this holiday season. The key to managing your budget is some simple planning and discipline. Planning ahead and avoiding impulse buys will certainly go a long way. Getting creative with how you shop is key! What is your favorite way to save money on toys when shopping at the holidays? Have you tried any of the above? Love these ideas! Very timely for the holidays. We are big fans of Pley. 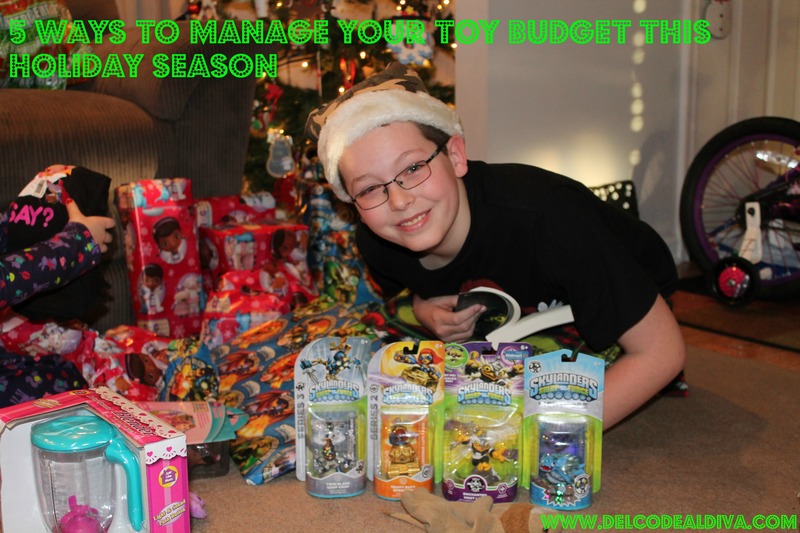 It’s definitely been a great way to manage our toy budget while giving the kids the chance to play with toys all year around. Love it! I agree! I am really looking forward to trying out Pley with my own children – and I think it’s such a great gift idea too!